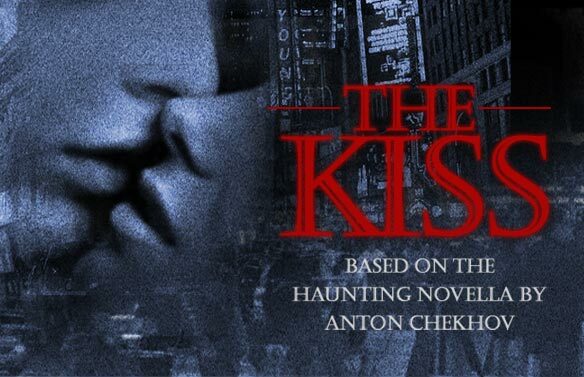 The Kiss is inspired by a short story by Anton Chekhov. It is a compelling story of intrigue and romance about a longing that is haunting in its simplicity. A man wanders into a dark room during a power-outage at an extravagant mansion-party. Suddenly he hears the rustling of a dress in the darkness, and then a woman – who has probably arranged a secret rendezvous with someone else – throws her arms around him and gives him a kiss. This brief encounter in the dark leaves him a changed man; A romantic who spirals out of control and into the realm of fantasy and obsession. He must find the woman whose face he did not see, yet who, in his mind, represents a perfect love.